Welcoming your baby into the world is a special experience and we have a loving environment with all the resources and expertise you need, close to home. We provide excellence and expertise throughout your pregnancy from prenatal support to delivery, to the moment you take your baby home for the first time. Our labor and delivery rooms are furnished to provide a home-like, comfortable environment for you and your birth partner. Plus, we recently announced plans to renovate and enhance comfort and convenience for birthing families, which will be completed in early 2019. Following delivery, you, your baby and partner have a chance to rest in our quiet and soothing postpartum rooms. Our focus on family-centered care encourages early bonding through skin-to-skin contact. You will never be separated from your newborn and your birth partner can be with you through the entire time. Our clinical affiliation with Tufts Medical Center enables our moms with high-risk pregnancies to see a maternal-fetal medicine specialist at MelroseWakefield Hospital and to have their care co-managed by both MelroseWakefield Hospital and Tufts Medical Center physicians. Together, we work to provide the best care for both mother and baby, alleviating the need to travel to Boston for specialized prenatal care. We’ve been providing neonatology care with specialists from Tufts Medical Center for over 20 years. 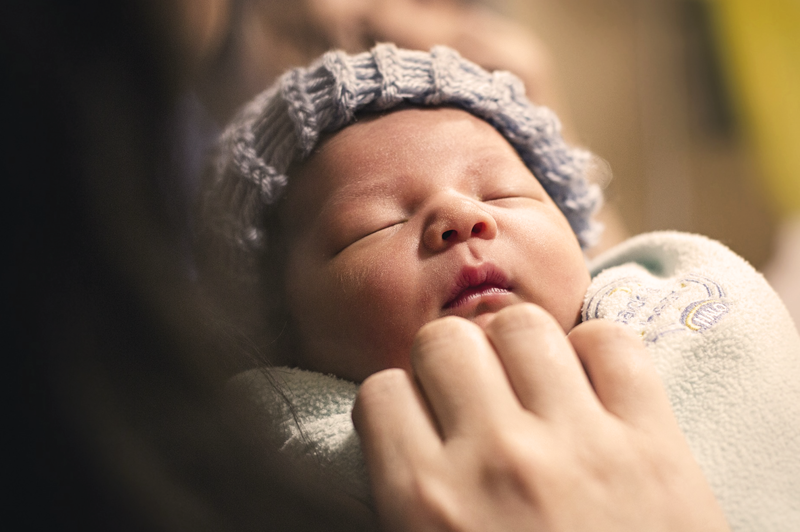 It’s comforting to know if your baby needs extra care, we have a level II special care nursery close to home, right here at MelroseWakefield Hospital. Staffed by neonatologists from Tufts Medical Center, we provide expert care including pediatric cardiology, neurology, surgical services and genetic testing and counseling for our tiniest patients. Should your baby need highly-specialized care, we collaborate with our partners at Tufts Medical Center and Tufts Medical Center’s Floating Hospital for Children to provide the appropriate level of care and access to specialists quickly and easily. If you need or have scheduled a cesarean section, or C-section, we offer a family-centered approach that allows the mother and birth partner to participate in the delivery. We can use clear surgical drapes so you can see your baby being born and enjoy a more natural birth experience. We facilitate early skin-to-skin contact and allow for the first breastfeeding session to happen before routine procedures. Our staff of specially-trained nurses and lactation consultants are dedicated to helping you breastfeed. They are available at any time after you deliver. When you are home, we are further support and coach you with breastfeeding. We welcome calls and appointments by calling at 781-979-MILK (6455). If you need an OB/GYN, use our doctor finder to find one near you in Reading, Stoneham, Melrose, Medford, Wakefield and other north suburban Boston communities. We are experts in women’s health and maternal-newborn services.